The International Cesarean Awareness Network, Inc. (ICAN) is a 501(c)3 nonprofit organization whose mission is to improve maternal-child health by reducing preventable cesareans through education, providing support for cesarean recovery, and promoting Vaginal Birth After Cesarean (VBAC). 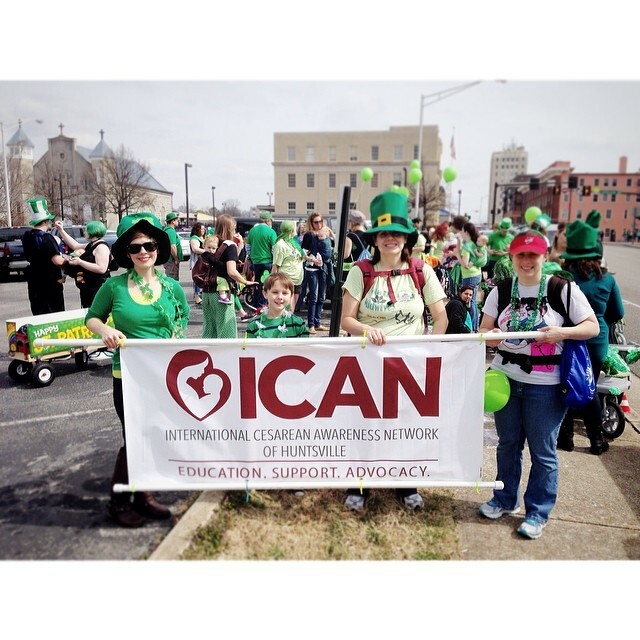 The Huntsville chapter of the ICAN holds official meetings once a month where we provide educational presentations and offer support to those seeking it. In addition to our official meetings, we are available throughout the month for questions through email or phone. We have even had impromptu meetings and hospital visits when a family needs our support and guidance. We started ICAN of Huntsville in July 2013 and, in five years, our following has grown to over 1000 women. In addition to our small support meetings, we hold lectures and moving screenings that bring members of our community together to discuss informed consent, avoiding cesareans, family-centered, achieving VBACs, birth trauma, and several other topics. With the money we have raised with Huntsville Mom Prom, we continue to offer the ICAN of Huntsville Doula Grant for Expectant Mothers. This grant is for families in need of financial assistance who wish to have a doula’s support during labor and would otherwise not have been able to afford the service. Funds are also used to add to our lending library of books, DVDs, and other educational materials for our members. We are continuing to build our educational material resources for our members and further raise Cesarean Awareness throughout our community.